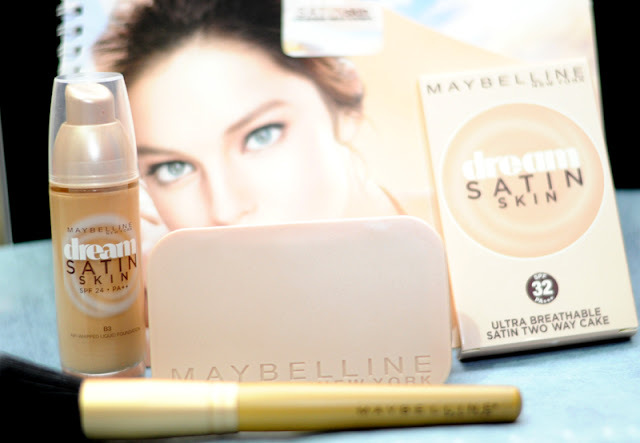 NEW MAYBELLINE DREAM SATIN SKIN LIQUID FOUNDATION AND TWO-WAY CAKE POWDER! Discover the skin of your dreams with Dream Satin Skin liquid foundation and the newest two-way cake powder from Maybelline New York. Runway and celebrity makeup artists from all over the world share that one of the most flattering compliments a woman can get these days is when someone commends, "You're skin looks fabulous." It's no surprise that foundation, plus an arsenal of new alternatives such as airbrush foundation, BB cream, and CC cream have become the go-to-products for some women even in "no makeup" days. After all, among all the products needed to create the sought-after no makeup makeup look, foundation has to be the biggest cheat. It should look like your own skin, or better yet, a flawless version of your skin. Sounds like a dream? 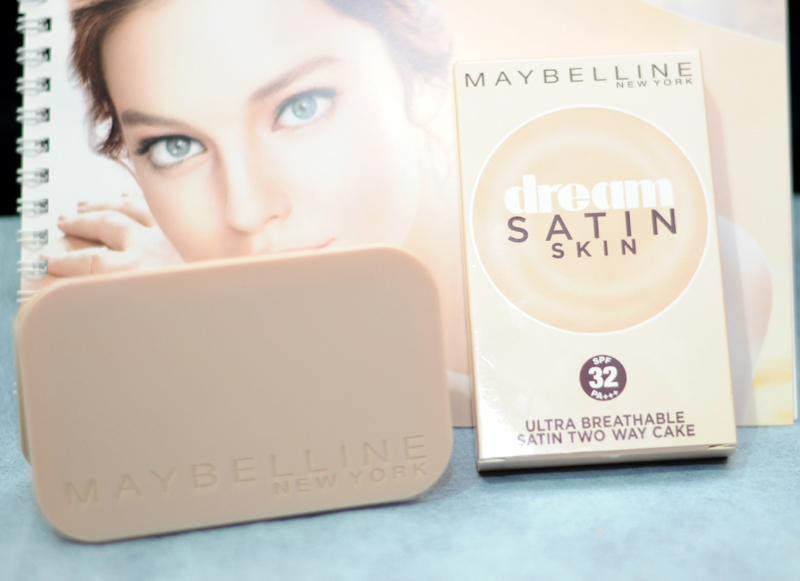 Dream no more as Maybelline proves you can actually live the skin of your dreams. Thanks to modern technology, the quest for that perfect dreamy complexion is now over. Forget what you used to know about foundations- the cakey and oily variety that does not let your skin breathe and clogs pores. 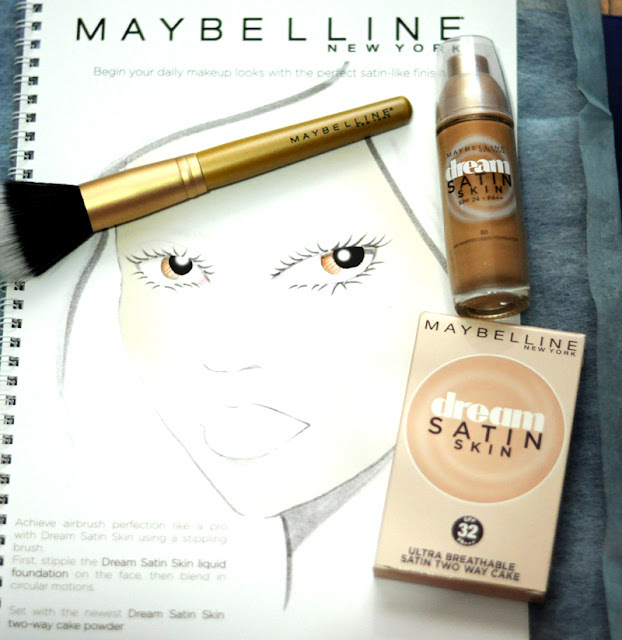 From the world's number one and most loved color cosmetics brand, Maybelline New York, begin your daily makeup look with the perfect satin-like finish as Maybelline's power face cosmetics franchise introduces Dream Satin Skin Liquid Foundation and Two-way Cake Powder. “We, at Maybelline New York, understand that choosing the right foundation is possibly the most difficult beauty hurdle to overcome for most of our consumers, due to cakey, oily, pore-clogging, and mask-like foundations they used to own,” shared Sandy Tiu, Product Manager of Maybelline New York. “Maybelline New York has broken down these barriers as Dream Satin Skin liquid foundation and two-way cake powder set the benchmark for achieving perfect airbrush finish like a pro: ultra-lightweight, non-oily feel, non-pore clogging, and perfected with a satin finish.” With Dream Satin Skin liquid foundation and two-way cake powder, Maybelline gives every woman satin-like finish as the perfect beginning for their makeup looks. The secret behind the liquid foundation is the Air Cushion technology infusing millions of microbubbles in ultra-lightweight and breathable format. Coupled with Dream Satin Skin two-way cake's One Film technology that is five times thinner than conventional powders, this new powder sensation cushions and smooths out pores without clogging them. Make your dream come true and start your perfect makeup look with Maybelline's No.1 liquid foundation, Dream Satin Skin liquid foundation, and set with the newest two-way cake powder for everyday airbrush perfection. and Two-way cake (Php399) with five shades. Products are exclusively imported and distributed by Maybelline New York and are available nationwide in all Maybelline counters.